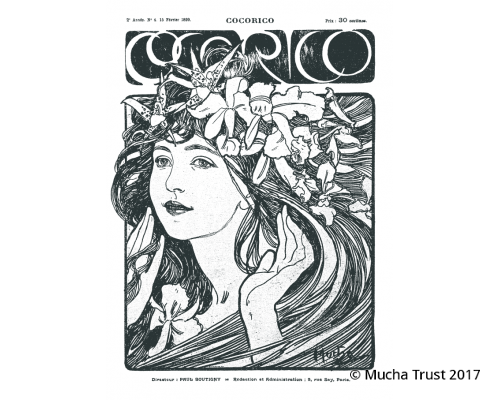 One of Mucha's most productive magazines collaborations was with the French magazine Cocorico, an illustrated satirical magazine which supported the new art and whose covers were designed by foremost artists of the movement. 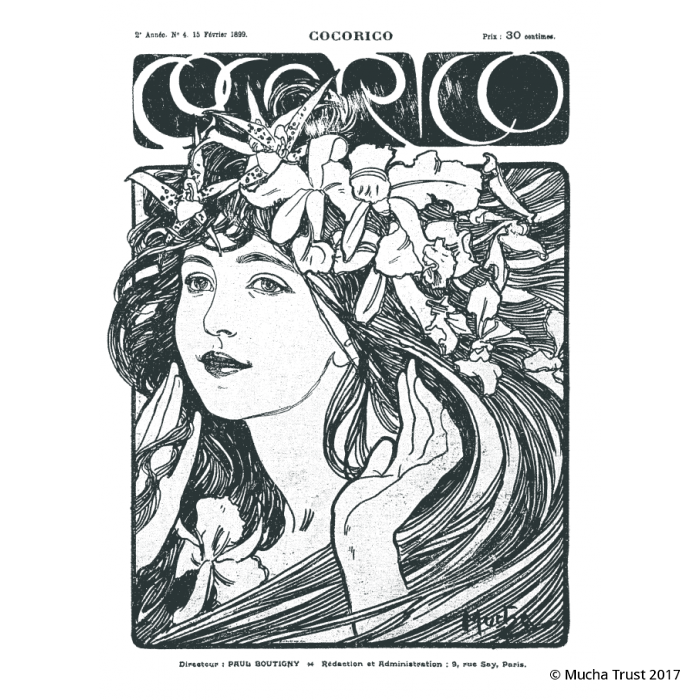 Mucha worked with the magazine from its first issue, which was published on 31 December 1898. He was commissioned to design the frontispiece for all issues, a number of covers – some of which were later made into postcards by Champenois – and a series of symbolic drawings on the theme of the twelve months. This poster is a magazine cover No. 4 (February 1899).